Ventura County prosecutors told a judge they were no longer sure Michael Hanline was involved in the 1980 murder of Ventura resident J.T. McGarry. The finding came after lawyers from the California Innocence Project persuaded prosecutors to reexamine evidence that helped sentence Hamline to life in prison without the possibility of parole. 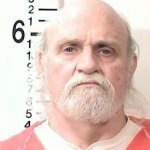 In addition to issues with DNA evidence, investigators discovered that during Hanline’s 1980 murder trial, prosecutors withheld evidence that cast doubt on testimony that led to Hanline’s conviction. While the Ventura County District Attorney’s Office determines if it wants a retrial, a judge ordered Hanline released on $2,500 bail. This story is an example of why I refuse to support the death penalty even though I think it would be appropriate in many cases. Maybe if slowerfaster’s suggestion that unjust prosecution (prosecutorial malfeasance) would result in the former prosecutor serving the same sentence were enacted, we could clear out enough of the bad verdicts to return to using the death penalty where appropriate. However, unethical, glory-hunting DAs are only part of the problem. The other part is that so many people are so quick to rush to judgment based on news stories which rush to print sensationalist accusations based on either biased or insufficient information about what has occurred. Sometimes, the DA’s office and the LEOs working with them are pushed so hard to “solve” a crime by public outcry, that they take investigative shortcuts or just grab the first suspect that they can make a plausible case against. I have seen it here in both CCN articles and the comments which follow. Emotional manipulation may be effective but it is often wrong and can lead to great injustices. Please remember that when you get your news from any source. Somehow most of these stories about DNA freeing a criminal just don’t tell the whole story. Most of the time the new DNA evidence doesn’t prove the perp was innocent. It just casts doubt, especially in those that want to believe that the court system is bad. My heart goes out to this guy and the untold numbers of innocent victims who find themselves incarcerated. I can only hope that after 34 years in that environment he didn’t learn to be a criminal. I saw this guy and his wife on TV yesterday and I swear the wife looks like a woman who worked at the Paso DMV. She retired some years ago, she always wore a lot of silver and turquoise jewelry. I agree also that I think it is the same woman. Yea she worked there for YEARS. And then they made him pay bail?????? I honestly would consider suicide if I had this happen to me. Elderly, with no job skills and nothing but a halfway house–decades of bitter disappointment and everywhere you go, seeing the families and grown children and grandchildren that could have been yours….the holiday celebrations that he has no part in…it would just be way too much for me. It would be interesting to know how many prisoners wish they could die that are innocent and in prison. You know what is really sick? You can bet no one will step forward to bring this man into their home for a holiday meal (maybe make him feel there is still hope). No one cares what others have been through these days-they honestly do not. Good material for Thanks-giving. Feeling lucky the corrupt system never got ahold of me and squeezed my soul to death. A far greater head count exists when counting the poor choices levied by our civil courts. Actually, the poor choices are easily carved within this process by the richer side. As far as suicide, forget that! Good health and life choices will precipitate a much better finality. Never forget, you can outlive the corrupted long arm of the law. Maybe he could spend the holidays with his wife? Maybe she cares enough about him to step forward. Did you even read the story? And if he didn’t have a wife, why couldn’t you be the one that cares enough to invite him over for Thanksgiving, instead of criticizing the rest of the world. Doing something constructive would certainly beat contemplating and posting your thoughts of suicide. Of course people care indigo. The attorneys from the Innocence Project worked 15 years to right this wrong and never gave up on him. It probably cost those attorneys a few hundred thousand dollars to prove his innocence. Many people care and Mr. Hanline has a lot of catching up on life to do. I suspect, ending it all now is the last thing on his mind. Just another red flag that our justice system, the last bastion for ensuring our rights as individuals and as a society, is (also) corrupt. Oops. Sorry about the 34 years and all. We made a mistake. You can go. Just a minute! That’ll be $2500. thousands of innocent people in jail. Those types of prosecutors have no soul. They are perhaps (the ones who rail road the innocent) among the most evil individuals on the planet. They should be prosecuted. There have been proposed laws that would make an unjust prosecution to serve the same amount of time as the ‘not guilty’ ones that were jailed. The DA’s would exercise a lot more prosecutorial judgment if that were the case. a public prosecuter that withholds helpful evidence from a fellow citizen is the crime. A lot of these successful prosecutors are now judges!